Do I need to make a reservations? YES – Reservations are required for the Waikiki shuttle. NOTE: If you plan on driving out, no reservations are required. Arrive early! What times do the shuttles pick up in Waikiki? What time does Hanauma Bay open? Hanauma Bay opens at 6 a.m.
What is the price to enter Hanauma Bay? Kids 12 & under, active military and local residents with proper ID are FREE. Are there lockers for my personal items? 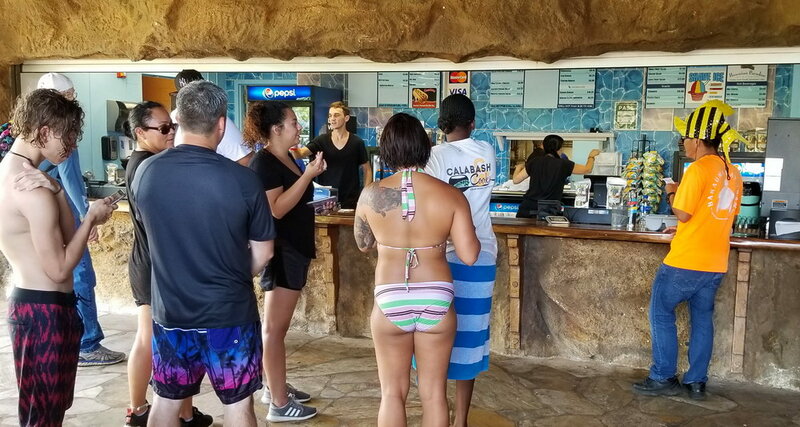 Is there somewhere to eat at Hanauma Bay? They have Bacon Cheeseburgers, Hot Dogs, Chili with Rice, Pulled Pork Sandwiches, French Fries, Garlic Fries, Turkey Wraps, Teriyaki Chicken, Garden Salads, Caesar Salads, Chicken Caesar Salads & Fruit Salads. They also have a wide variety of snack items and drinks available. Can I rent a life vest or floaties? 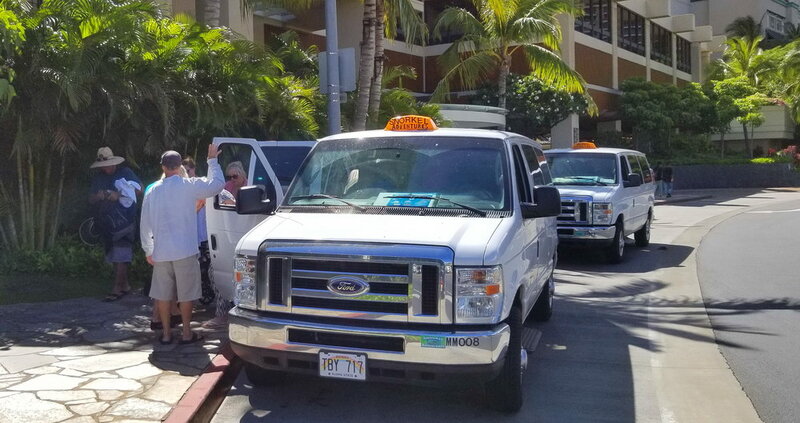 The Waikiki Shuttle has life vests, umbrellas & beach chairs for rent when booking online or ask your driver. Is Hanauma Bay wheelchair accessible? Beach wheelchairs are available for free, check with volunteers at Hanauma Bay.